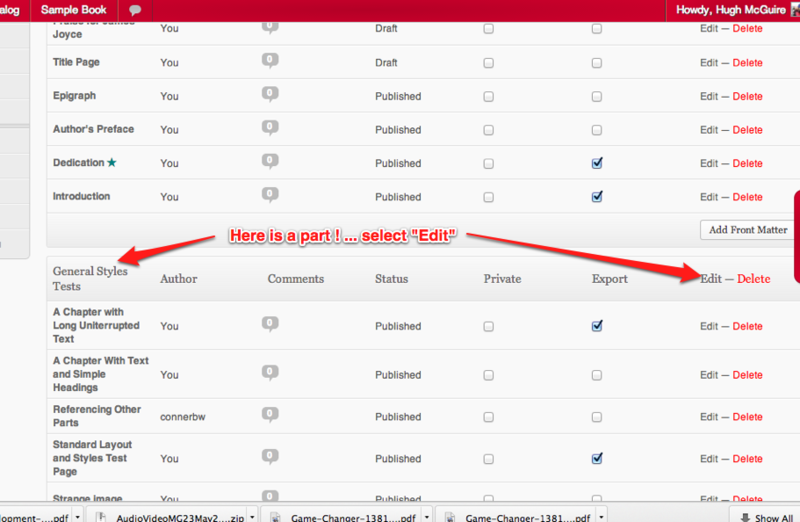 You can easily reorder chapters in PressBooks (just drag and drop in the Text–> Organize view). 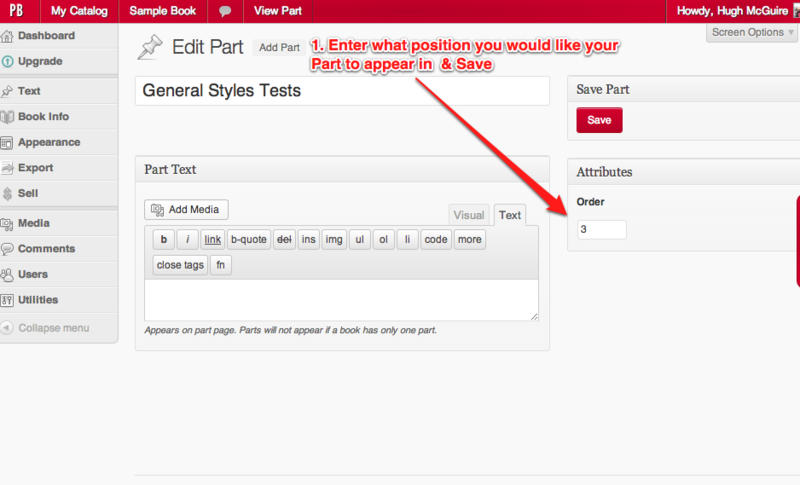 But we’ve had a few requests to allow users to reorder the Parts they put into PressBooks, which up until now hasn’t been possible. Our solution isn’t as elegant as the “reorder chapters” feature — no drag and drop — but it should still work. Choose the Part you want to move, and “Edit”. Under “Attributes” enter a number: 1 will be make this the first part, 2 will make it the 2nd part, 4 will make it the 4th part. Etc. Now when you return to Text–>Organize, you’ll see the part organized as you specified.